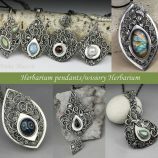 In this introduction to silver clay, learn a new skill. Create 2-3 pieces of silver jewellery. Learning how to use different types of PMC Silver Clay, learn how to texture clay, fire and polish it. All tools and a firable stone are provided, PMC is an additional cost of aprox £30. Extra gemstones are a small additional cost. 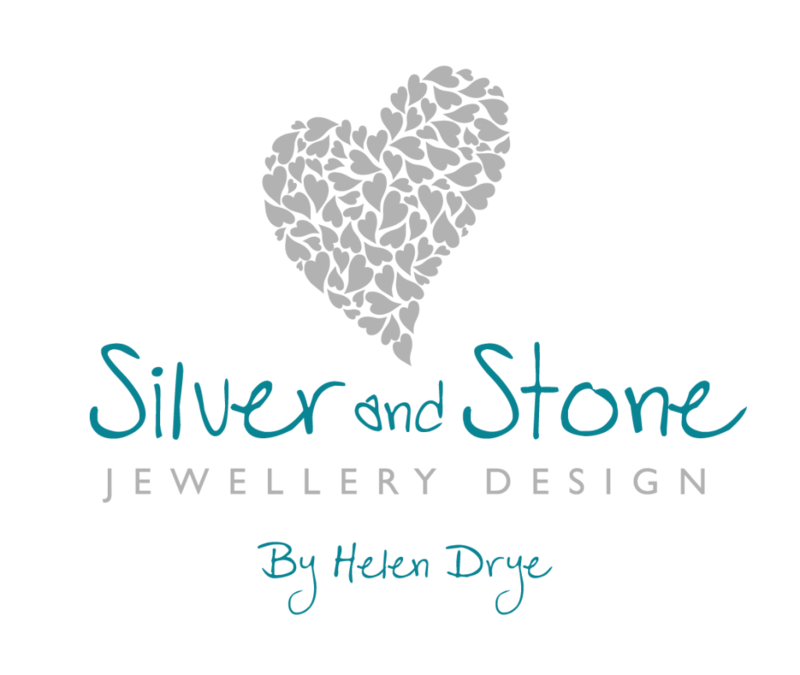 Try your hand at a new craft with this Introduction to Silver Clay course from Silver and Stone Jewellery Design. Create 2-3 pieces of silver jewellery to take home with you at the end of the course. 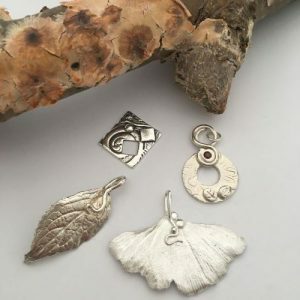 Use this introductory full day to learn the technical skills required to roll, texture, and cut Silver Clay into beautiful jewellery; learn how to add a gemstone, fire and polish it. 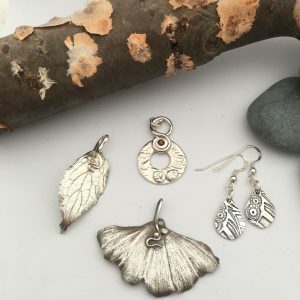 You will make a leaf pendant using silver paste, a textured pendant and or earrings using Silver Clay. Our professional tutor will guide you in small intimate classes making for lots of one-to-one personal attention in this fun and friendly environment. We are flexible with the designs for these projects, so there is plenty of opportunity for you to create something unique. All tools and materials are provided. Materials are additional and will cost aprox £25-£30 each. 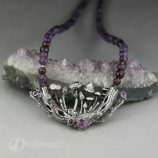 Gemstones are an additional cost. 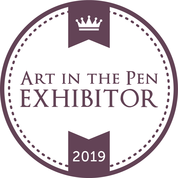 Workshops will be held in my studio in Riccall, near York. Arrive anytime from 9.45am for a 10am start. £85 per person plus materials of £30. In each workshop I have a maximum of 10 students. Tea, herbals teas and coffee. Please bring a packed lunch. All tools and materials will be provided on the day. If you have any silver clay that you haven’t used, but would like some advice on, please bring that along on the day. Please wear covered shoes and tie long hair back. Please book via the website. If you need to cancel your place on a course please get in touch. ​Cancellations up to one month notice: You will be offered a place on one of my other workshops or a refund of 50% of the workshop fee. ​Cancellations less than one month notice: Unfortunately I am unable to offer refunds if the period of notice given is less than one month. ​If your workshop is cancelled due to rare unforeseen circumstances I will work with you to rearrange an alternative date that is mutually suitable. If this isn’t suitable, a full refund will be given. I will never sell your data and I promise to keep your details secure. I will only contact you about the workshop. By providing your details you agree to being contacted by me. Do you know someone that would enjoy a workshop experience as a gift? Vouchers and gift cards are available. Please get in touch for details. 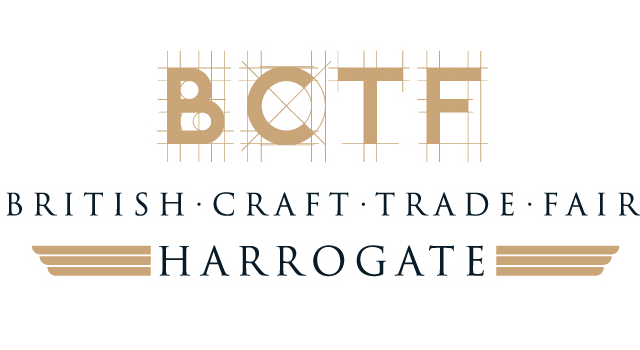 If you have any questions please have a look at our FAQs or contact me using the Contact page.